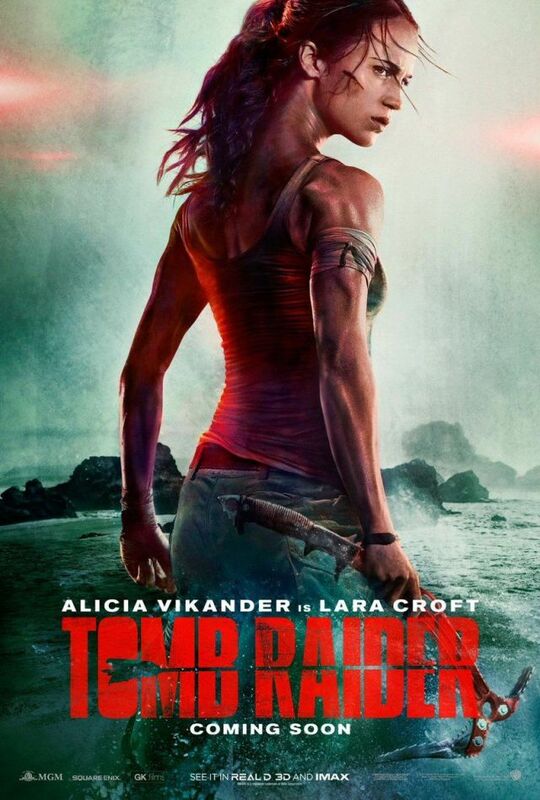 A lot has changed since Angelia Jolie put on the tank top to bring the video game character Lara Croft to life. Back then action tent poles were dominated by the work of directors like Michael Bay and tended to be fairly absurd exercises without a focus on character or screenplay. Today, many of the big Hollywood blockbusters are made by auteurs and aim higher on the quality scale. Now the Tomb Raider franchise is trying to reboot itself as a more serious action pic a la Jason Bourne, and less Con Air. Angelia Jolie was an Oscar winner when she played Ms. Croft as is the current iteration Alicia Vikander. However Vikander's take is less focused on the breasts and more on the Sarah Connor style action hero. The plot attempts to take itself more seriously too. Lara's story is the same, troubled rich girl goes after a mystery involving her dead father. Despite the more grounded take, the action still falls on the grandiose side. But this film does feel a lot less silly than the previous take. But other than that is there anything new here? Take out the camp and it's just another action film. There isn't even novelty in a female action hero as that is far more commonplace than before. While a generally entertaining movie, this new Tomb Raider feels rather generic and forgettable. It offers little to excite its audience for a sequel. It is a rather vanilla turn. So the question had to be asked, why a new Tomb Raider film? I'm not sure the answer is here.